By far the biggest secret weapon you have—or that any company has—is your own employees. Your employees are your most valuable asset, but you have to be proactive to find and unleash the hidden power inherent in your organization. To begin this process, you need to get the lay of the land—to understand the perspectives of your employees, and what their relationship is to each other and you, the boss. First, I strongly believe that most employees are good people and want to do a good job. Having spent over thirty-five years working in and leading companies as well as advising them, I feel I have developed a pretty accurate sense of the dynamics at play in organizations. Employees spend more time at work than anywhere else in their 24-hour day, and they would like to feel productive, satisfied, and hopefully looking forward to coming back tomorrow. Second, it is also important to understand and appreciate that there is no real pact or bargain today between employees and employers; they each serve at the whim of the other. If the employee finds a better job, he’s gone. If the company decides to restructure the organization, twenty (or two hundred) folks are let go. This is a quite different framework than the “I do a good job, have a career with the company and stay until retirement” ideology, which typified American business after World War II. And while this fundamental concept no longer exists, employers are still looking for great employees to fully dedicate themselves to the company, and employees are looking for organizations who will appreciate their skills, effort and talent. What employees witness is that companies are sending jobs offshore, outsourcing entire departments, reducing hours to avoid providing health care benefits and implementing other cost-cutting measures designed to improve profitability. From the employers’ vantage point, employees are more concerned about themselves than their work, want to earn more than they deserve and will leave at a moment’s notice if a better position comes along. 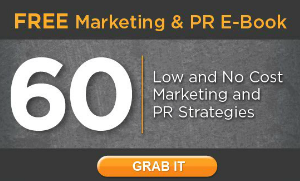 Third, it is a safe bet that most of your employees are not very engaged (regardless of their level in the company)—or at least not as engaged as they could be. Due to things that you or others may have done and said in the past, many of your employees could well believe you think of them merely as a cost—in much the same way that you view office space, computers and trucks. In other words, all other thing being equal, you should assume the situation is broken. This idea is counter-intuitive to most leaders. As a rule, we don’t want to go looking for trouble and prefer to take the position that unless we see obvious problems, everything is fine. But remember: Just because you don’t see smoke coming out of the second-story windows, doesn’t mean there’s not a fire in the basement. So, the best course of action is to start with the notion that there is a lot of work to be done here. It is incumbent upon you, as the leader—and your leadership team—to engage your people. Owners need to create an atmosphere of involvement and trust, along with designing processes that encourage two-way communication. Connecting is done by interacting authentically with employees, not by dictating to them. All of us have been inculcated not to do this—we are trained not to reveal our true selves in the business world; so for many, this will not come naturally. I have always considered myself lucky that I truly enjoy talking to people—everyone, everywhere and all the time. I find it to be very motivating and interesting to see how other people think, whether I’m waiting in line to get a coffee or I’m sitting next to someone on an airplane or in the company cafeteria. However, you don’t have to be born gregarious. Engaging with people is something you can train yourself to do. Do unto others is an old adage, but it is rarely thought of in the context of company leaders and customers. The person at the very top of the organization should know what it is like on the other side of the exchange. During the writing of my book, I had the pleasure of speaking with Eli Zabar at his new Eli’s Essentials store and café on Madison Avenue. The Zabar name is well known in Manhattan, and Eli split with his two brothers to form his own business in 1973 on the East Side, when he opened the EAT gourmet food shop and café on Madison Avenue. Today, Eli Zabar runs a very large retail, restaurant and commercial baking company. “And how do your employees respond to this direction?” I asked. He said, “We all get so involved in the activity of the moment—it almost seems rude to the employee to tell them to stop what they are doing to focus on the customer. But it doesn’t matter, because the customer is the most important part of the business.” Eli Zabar clearly gets it. Remember this—in a small business with few employees, each one has a magnified impact, whether it be good or bad. It is vital to engage with your employees, motivate the winners, train the stragglers, and lose the one who might cause your customers, and your business, irreparable damage. 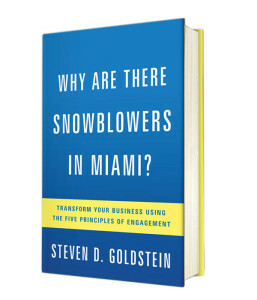 Steven D. Goldstein is the author of Why are There Snowblowers in Miami? Transform Your Business Using the Five Principles of Engagement coming September 6, 2016. 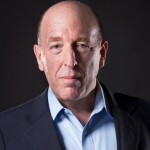 He has over thirty-five years of experience working as an operating executive at global Fortune 500 corporations (including as Chairman and CEO of American Express Bank), midsize companies, as well as advising private equity firms with their portfolio companies. Steven earned his BA from CCNY and his MBA from NYU’s Stern School of Business, and lives in New York City.